Friends of Welsh Hockey was happy to support an application by the Welsh Masters association for the purchase of a defibrillator. 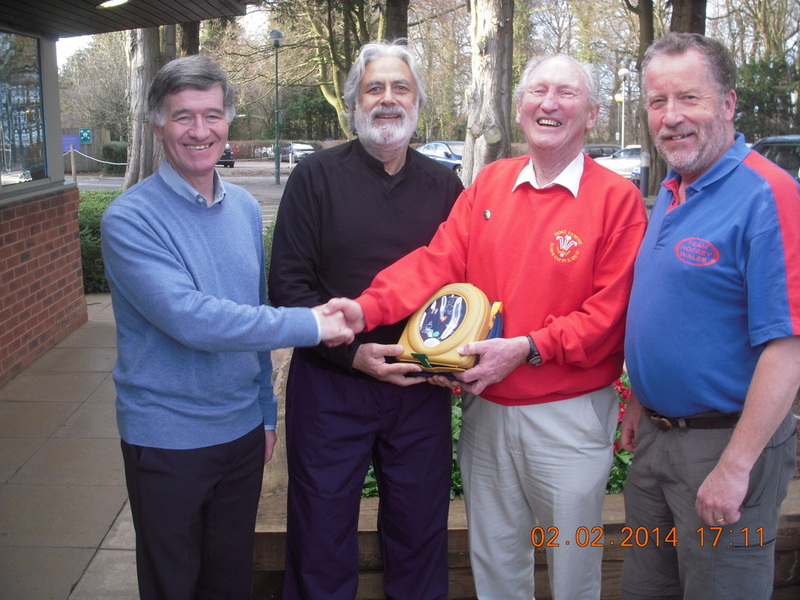 The photo shows the defribullator being presented by Roger Harris and Jeff Robinson , two Friends Trustees, to Glyn Thomas and Pal Lottay from Welsh Masters Hockey Association. Last season a similar machine in Pembroke Leisure Centre saved Pal's life. The Welsh Masters teams will now be able to provide similar life saving care at other tournaments they visit.